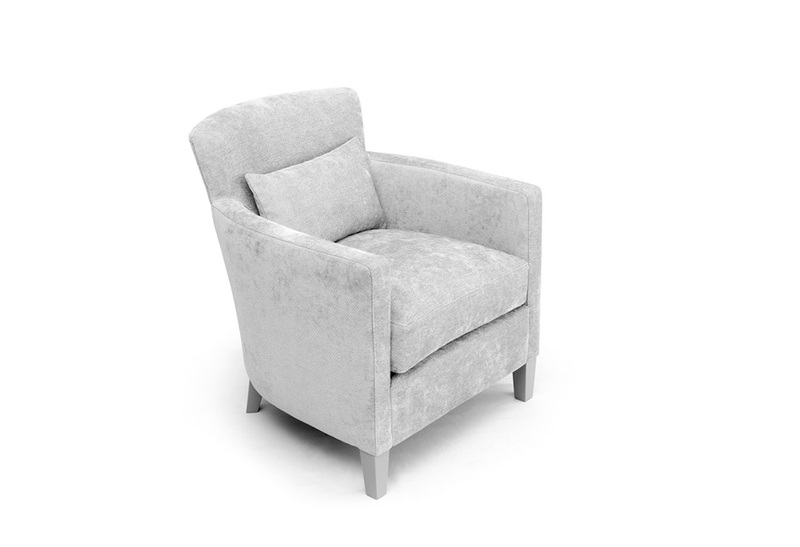 This armchair has a classic design with a contemporary twist. Small dimensions and great comfort. 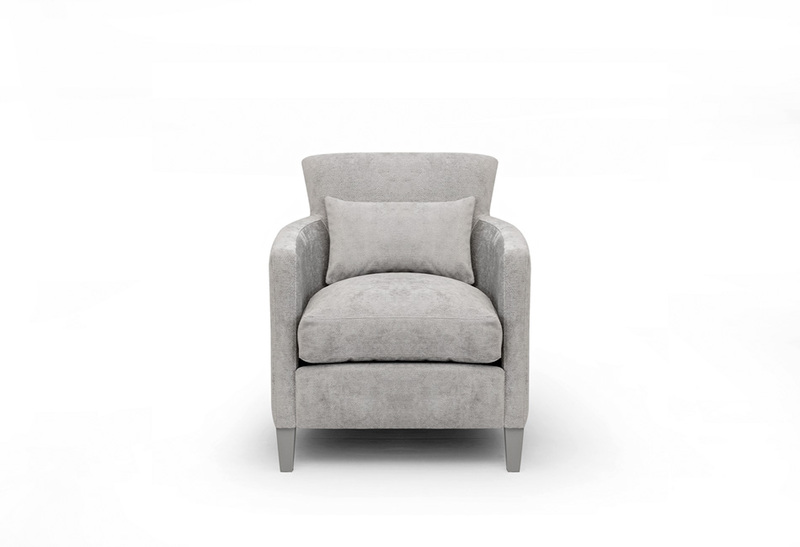 The intentionally simple styling is emphasized by its back curve, a foam and feather mix cushion. Upholstered in a Zimmer+Rohde fabric with feet lacquered to match.